Sunu Group for Intercultural Action accompanies the initiatives of indigenous peoples, seeking to promote intercultural links and raise awareness on the issue of cultural, ethnic, and religious segregation. The empowerment and leadership of indigenous women as well as the strengthening of their advocacy capacity to influence public policies for a life free of violence. Their project focuses on (1) training in gender, human rights, and indigenous people’s rights, and (2) capacity building of indigenous women’s organizations. 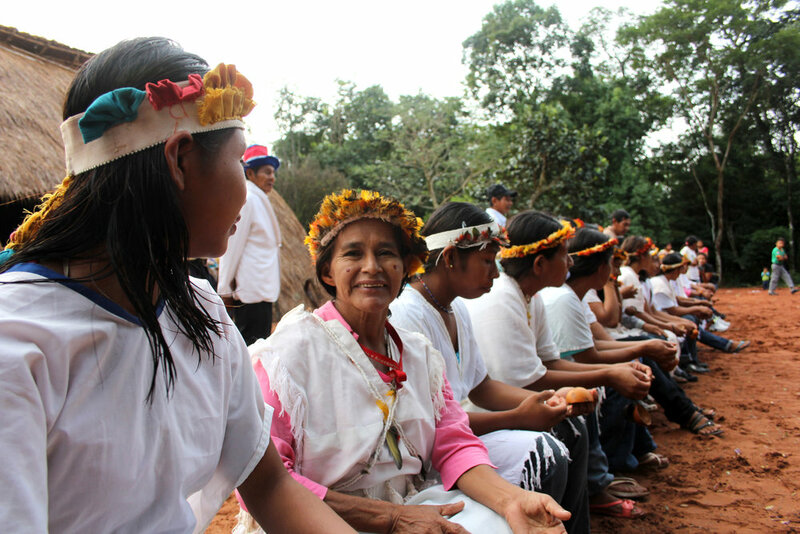 Paraguay is known for elevated rates of poverty and inequality, where land ownership is concentrated in the hands of a few, and indigenous women are at the greatest risk of abandonment. Indigenous communities are affected by the dispossession of their lands, and they suffer environmental pollution. To strengthen the participation of women within indigenous organizations, promote their leadership and the transmission of knowledge, and increase the skills of indigenous women raising awareness about their rights to a life free of violence.